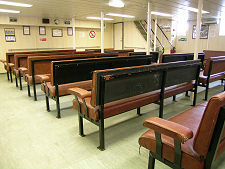 The ferry service to Whalsay is a frequent one, with some 17 sailings each way, six days per week, and a few less on Sundays. 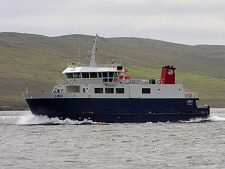 It operates from Laxo on Mainland, a few miles east of Voe, though in some weather conditions it has to sail from Vidlin, which disrupts the timetable. 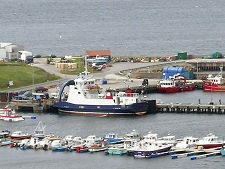 At the Whalsay end, the ferries dock in the bustling Symbister Harbour, home to some of Europe's largest fishing vessels. 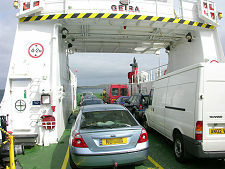 Booking your place on the ferry is recommended as, desite the good service, Whalsay is a very populous island whose residents tend to do their shopping on Mainland. 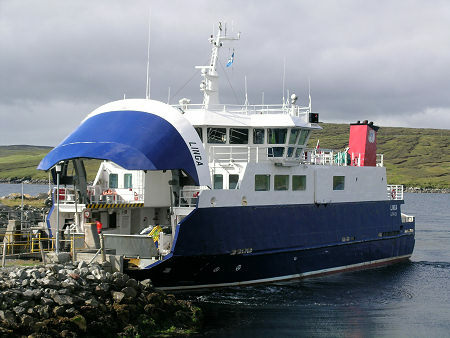 Full details of current timetables and prices for all Shetland's inter-island ferries can be found on the ferry area of Shetland Islands Council's website. 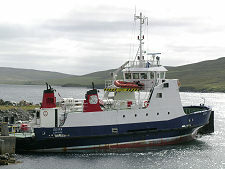 The crossing takes around 30 minutes, and gives an opportunity to enjoy the scenery of Drury Voe before crossing Lunning Sound, passing to the south of the island of West Linga, and crossing Linga Sound on its approach to Whalsay. The two vessels on the route are Geira and Linga. Geira was built in 1988 at Dunston's yard in Hessle, on the north bank of the Humber and is the smaller of the two. Linga is rather larger, being able to carry 16 cars or 95 passengers. She was built in 2002 at the Northern Shipyard in Gdansk, Poland at a cost of £4m. 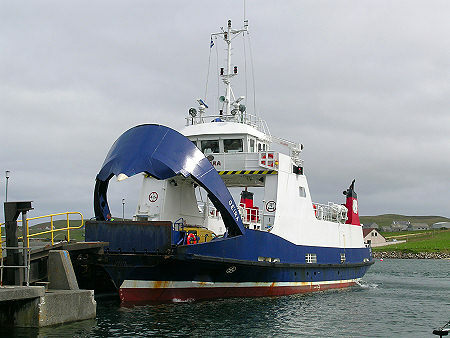 Full details of current timetables and prices for all Shetland's inter-island ferries can be found on the ferry area of Shetland Islands Council's website.